A recent article published by two members in our laboratory (Cristina Leovaridis and Diana-Maria Cismaru, 2014) in Management Dynamics in the Knowledge Economy focused on organizational culture and climate in knowledge-intensive organizations, aiming to identify the specific values and features of climate for each sector.The sample included organizations from five sectors: higher education, banking and financial, research and development, IT and marketing-advertising. The qualitative design of research included near 80 in-depth interviews with employees and managers. Results showed that the presence of team spirit and support, cooperation among co-workers, as well as the existence of a positive atmosphere, help and cooperation can be found especially in the IT and banking sectors (all of the respondents), for three quarters of the RD sectors, two thirds of the advertising sector and for only half of the employees of the higher education sector. This level of satisfaction reduces while evaluating the vertical ascending communication: three quarters of the interviewees of the banking and higher education sectors and two thirds of employees in the IT sector are content that the superior “listens to them”; in advertising and RD, only half of the interviewed employees considered this form of communication satisfactory. All the interviewed employees of the advertising, IT and banking sector experienced the presence within the company of some forms of organizational culture (Christmas parties, team buildings, award ceremonies ni advertising and IT sector, and also written and unwritten internal norms and values in the banking sector, or myths on the founders in the multinational companies sectors). In the higher education sector, only half of the respondents admit the presence of an organizational culture in their institution (represented through some anniversaries and co-worker anniversaries). Finally, in the public funded RD sector, employees reportedly did not experience manifestations of any type of “visible artifacts” or values of organizational culture. The picture of climate dimensions has been very different from one sector to other: from autonomy, teamwork, creativity and friendship, on one extreme, to discipline, respect for rules and accomplishing goals, on the other extreme. Thus, in the advertising-marketing sector the climate is based on human relations and friendship (in the small Romanian agencies) and on co-worker competition and task achievement (in the multinational agencies); in the IT sector, climate is based on human relations, friendship, as well as on accomplishing goals, discipline and respect for rules; in the banking sector – on discipline and obeying rules followed by competition among co-workers and task achievement; in the RD private institutes on achieving goals, while in the public RD institutes on freedom, creativity as well as competition between colleagues; in the higher education sector on accomplishing goals, accompanied by encouraging initiative and creativity, along with competition. As a recommendation, in the knowledge-intensive organizations, the rigid, hierarchical and control-based management should be replaced with a flexible management based on shared meanings, common identity, in order to motivate and maintain loyal the expert-employees. I chose this specific word, „newness”, intentionally. It`s not innovation, it`s not originality nor uniqueness. Just newness. I`ve recently experienced a new interactive branding engagement way for viewing a music video. user needs to introduce a code on the url displayed on the landing page, a validation step, and then a snapshot appears of how the mobile should be placed on the right side of the desktop`s screen. Why? The extra piece of content from the mobile screen reveals new and interactive features making the user feel engaged and more immersed in the experience. The only way I felt was curious, excited at the beginning (as this was the first time experiencing it), and then simply bedazzled. Too many fast moving images, and a constant effort for my eyes to roll from one (large) screen to another (tiny one). It was interesting, but not likely to chase for experiencing it again. Reaching target audiences across screens is new, and most social media lovers are thrilled at the click of „newness”. But not sure whether this constant chase is not making users feel hungry for more, remaining curious for the next new big thing, and not that appreciative of the last. Leaving users eager for more isn`t necessarily building a connection, it`s actually turning the brand into a fast-food product for hungry users. What does brand engagement really stand for in this context? Nowadays, the economic responsibility of business stands for a consistent challenge and pressure due to global competitiveness. Still, when fulfilling their economic responsibilities, businesses should consider simultaneously ethical responsibilities. These responsibilities consist of practices, behaviors, activities, policies that are not codified into laws, but are expected (in a positive sense) or prohibited (in a negative sense) by societal members. Also, ethical responsibilities cover a series of standards or expectations of behavior that reveal a constructive interest for what clients, employees, shareholders, the community, and other stakeholders perceive as right or fair. At this level, consultant John Dalla Costa (cited in Carroll, 2000, p. 36) underlined in his work The Ethical Imperative that ethics is becoming step by step the central business issue of our time, afflicting corporate profits and credibility, as well as personal security and the sustainability of a global economy. A business manager has responsibilities for their workers, their customers, their shareholders, their competitors, laws, society and environment. In order to perform these duties, business people must make decisions within a moral framework and consequently the core of business ethics is to establish what one ought to be doing, when one is doing business. An interesting consideration in this respect is brought to light by Solomon (1993, p. 36) who states that ethics in business practice does not necessarily come from the business schools that managers attend, but from some character traits – “virtues” that are acquired through socialization, but also due to the environment and culture organization in which the individual is formed as manager. The author mocks economics school graduates that become Wall Street financial officers whose activity is defined as “making money”. Once employed, young people will practice all the tricks learned in school and they will work to impress a manager, taking behavioral patterns valued in the company and then climb the ladder of the organization upon receipt of increasing salaries or bonuses. The author calls this phenomenon “abstract greed”. It is centered on money, around the desire to simply get rich, not to get anything related to it or to prove that you possess expertise, but just for the sake of being rich. It is the most important good feeling, more important than personal dignity or happiness. The National University of Political and Administrative Studies, Bucharest, is pleased to announce the fruitful partnership with the Institute of European Studies at the Vrije Universitiet Brussels (VUB). The partnership shall be conducted under the umbrella of the „Euro-entrepreneurship” project, a project aimed at developing and strengthening higher education in Romania. Also, the project aims to upgrade and diversify the programs at master’s degree relevant in the context of Europeanization of the Romanian society, the academic qualification validation „expert in European affairs’ and the introduction of the European entrepreneurship as transversally study area. The partner is a prestigious academic institution and became Jean Monnet Centre of Excellence focused on the European Union’s role in international relations. The institute offers both courses and research programs in various fields and services to European institutions, scientists, stakeholders and the general public. The Partner Institute is a center of excellence in teaching European studies, coordinating advanced Master’s programs, including the renowned Program in International Legal Cooperation (PILC – Master in International and European Law) and Master in European Integration and Development. It also offers a range of services designed to disseminate scholarly investigations of the Commission and to stimulate academic debates on European topics and current. The Institute for European Studies regularly organizes events such as the annual conference series, forum and other public policy conferences and workshops dedicated to the academic community members and / or the interested public. The Partner publications and collections include books, Working Papers IES, IES Briefing Papers and a newsletter that appears four times a year. „Euro-entrepreneurship – academic qualification for Europeanization of Romanian society” (HRD / 156 / 1.2 / G / 140,578) is a project co-funded by European Social Fund through Sectoral Operational Programme Human Resources Development 2007-2013, Priority no. 1 – „Education and training in support of growth and development of knowledge based society”, Key Area of ​​Intervention 1.2 – „Quality in higher education”. Mako (2014) noted the asymmetry in the distribution of new forms of work organization among European states, especially between Western and South-Eastern countries. The table below summarizes the distributions of work organization in the Eastern and Central European post-socialist countries in comparison with the EU-27 average. Source: Valeyre et al., 2009, p. 22. The Discretionary Learning (or Innovative) Organization is characterized by the overrepresentation of job features as autonomy in work, learning and problem solving, task complexity, assessments of the quality of work, autonomous teamwork. Lean Production forms of work organization (limited innovation capability) is characterized by the overrepresentation of both autonomous and non-autonomous teamwork, job rotation and multi-skilling; jobs include the self-assessment of quality as well as the indirect variable of just-in-time production, measured by demand-driven constraints on work pace. This type of work can be labeled “controlled autonomy”, reflecting the employers’ intention to “trade-off” direct control over the employee and the benefits of employee involvement in work related decisions. Taylorist forms of work organization (no need for innovation capability) characterizes the typical mass production job, including minimal autonomy in work with low task complexity along with weak learning possibilities; teamwork and job rotation are nearly at an average level. Traditional and simple structure version of the work organization includes working methods that are not essentially formalized, presenting difficulties in accurate description (Valeyre et al., cited in Mako, 2014, p. 2). In Romania, the presence of “discretionary learning” organizations (with the strongest innovation capabilities) is below the EU average: 24,1% in our country versus 38,4% in the EU-27. Discretionary learning forms of work organization are least diffused in Bulgaria, Lithuania and Romania. The share of the less innovative lean production type is well above the European average: 33,4% in Romania versus 25,7% in the EU-27. Also the Taylorist form of work organization is above the average: 27,6% in Romania compared to 19,5% in EU-27. Although the bibliography in crisis studies is rich, there are several limits that become clear after reading several articles and papers. Being spectacular, the crisis focuses all attention on peak stages (not only in media, but in the academic research) and ignore the other stages (preparation and/or final of crisis). Crisis management and immediate responses and/or strategies are in the center of interest of researchers. The consequences are that the less spectacular aspects of crisis are neglected by analysis and studies. For example, the topic of middle and long term effects of crisis is less investigated (although it requires a longitudinal analysis, and this type of analysis is less preferred). Or, the internal communication strategies in case of crisis are also neglected (even if they are crucial for the successful management of crisis). Further, the area of risk management and prevention of crisis is also less preferred in studies (although is of the same great importance for the effective management of crisis). Another insight on the current limits in crisis studies refers to the types of crisis that are chosen for analysis. Thus, studies select less cases of chronic or complex crisis (the sudden crisis are more attractive, and easier to be studied) and focus less on the processes that maintain a crisis. Also, some complex cases of crisis are treated independently of their context and analysed after universal principles, while the context is essential in the correct interpretation of crisis. On another hand, crisis studies offer few frames in evaluating objectively the symbolic damages, especially the reputation damages. While there is a long ongoing discussion about the reputation (including the topic of reputation assessment) the processes of reputation building and repair, in connection with crisis, are less investigated. It has been stated that a favorable prior reputation has a “protective power” in case of crisis situations (Coombs and Holladay, 2004), helping managers to find a better reaction to their response strategies in case of crisis. In exchange, the reverse relationship (the maintenance of reputation in time, after a crisis) has not been clarified yet. Finally, even if scholars recognize the explosive potential of crisis created by the development of social media, they still not reached to a consensus about the methods to assess this risk. Organizations are vulnerable to actions and statements of a potential unlimited audience (Coombs and Holladay, 2012) because of the greater control of users (either internal or external publics) over relevant information (Reddington & Francis, 2011), but still, neither researchers neither the practitioners are not able to give a firm advice about how to manage communication crisis in the online space. Is this the end of the organizational rules and of the functional perspective? Or, rather, the organizations need to adopt another perspective about their status and mission, and align to it? The answer is going to be visible in the next years. The „European Entrepreneurship – academic qualification for the Europeanization of the Romanian Society”, developed by the College of Communication and Public Relations (SNSPA Bucharest) in partnership with the Institute of European Studies at the Vrije Universitiet Brussels (VUB), aims, firstly, to update and diversify a set of programs of study at master relevant in the context of new developments in the Romanian society in line with European trends. NUPSPA employees have already received a first training session in Brussels, the second and third will take place in December. These training sessions, suggestively named „How to teach Europe”, implemented in partnership with the Institute for European Studies, Vrije Universiteit Brussel within. VUB-IES is a prestigious academic institution, became Jean Monnet Centre of Excellence focused on the role of the EU in international relations, which provides both courses and research programs in various fields and services to European institutions, scientists, and Factors stakeholders and the general public. In the training stages are planned also visits to the main European institutions, based in Brussels: European Parliament, Council of Ministers and the European Council, European Commission, Council of the European Union. From this point of view, the project brings a new market for academic Romania, direct contact with the institutional environment in Brussels. As a long term goal, the project aims to contribute to the development and strengthening of higher education in Romania, Romanian universities by increasing the capacity to provide new professional qualifications adapted to labor market requirements. In this sense, the project aims to validate an academic qualification highly topical in the context of adjusting to European policies and practices, that the „expert in European affairs.” In terms of academic logic and contribute to a better visibility of objectives, the project „Euroantreprenoriat” was established a research center – Center for EU Communication Studies. This center is the first academic cluster in Romania dedicated public communication in the European context and aims to create an interdisciplinary and transnational networks of practice and research on European issues. „Euroantreprenoriat – academic qualification for Europeanization of Romanian society” (HRD / 156 / 1.2 / – G / 140,578) is a project implemented by the Faculty of Communication and Public Relations (National School of Political Science and Public Administration, Bucharest SNSPA) in partnership with the Institute of European Studies at the Vrije Universitiet Brussels (VUB). The project is co-financed by European Social Fund through Sectoral Operational Programme Human Resources Development 2007 – 2013, Priority no. 1 „Education and training in support of growth and development of knowledge based society”, Key Area of ​​Intervention 1.2 – „Quality in higher education”. 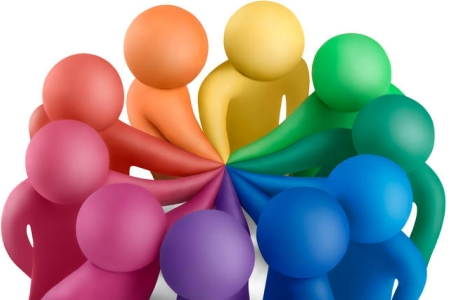 A salient theory about the formation of social groups assumes that individuals join groups driven by either strong personal connections with other members or by the interest in the group as an entity. Thus, depending on the main motivation of people, spontaneously created groups can be classified as either social or topical. This theoretical categorization is known as common identity and common bond and affirms that the two types of groups have different and well-defined features that characterize them in terms of group dynamics, patterns of interaction, subgroup structure, motivation policies, managerial intervention or moderation, individual commitment etc. A myriad of studies reveal that groups created on common bonds and common identities may both generate strong commitments, but in different ways. For example, common bond groups may elicit higher levels of interest in the individual group members and in within-group communications while common identity groups may treat individual group members as relatively interchangeable. At this point, the preservation of homogeneity stands for an imperative in order to maintain unity in these groups (Farzan et al., 2011). Despite the existence of many similarities, social psychological research frequently deems that these two types of groups cannot be combined with each other. It is assumed that overestimating the presence of individuals may afflict the common identity and overestimating the presence of the group as a whole may afflict common bonds (Turner, 1991; Postmes, Spears & Lea, 1998; Sassenberg, 2002). Analyzing varied prerequisites for the influence in groups based on interpersonal bonds, most researchers have demonstrated that common-bond and common-identity groups had very different dynamics: in the former type of group, influence arises from diversity of views and disagreement, whereas in the latter type of group, influence arises from coherence and consensus (Sassenberg & Postmes, 2002). Future research is expected to identify many other contingencies that determine whether group membership is compatible or incompatible with expressions of individuality. These aspects comprise the norms and dynamics of the group, the comparative context, the relative size of the group, and the component of individuality that is salient. Firstly, just a quick note on why I chose this title. My inspiration was the For Dummies series which is the main learning source for individuals who seek to take the easy way to understanding a specific topic or domain. Information is presented in a systematic way and works great for readers who are new to a specific topic, so I embrace this initiative, don`t get me wrong. Therefore, I merely chose this term for emphasizing the theme below. 1. Social Impotence – In an era when staying sane means staying connected to the Internet (n.r. and Yes, I have recently seen a stream of conversations where the idea of the Internet being “turned off” for one day drove people crazy), curing such a dependency can turn out to be quite difficult. Apparently, social media usage actually affects our brain, studies showing that 5% of internet users are unable to control how much time they spend online. They crave for more of the excitement produced by using the Internet after each interaction. No wonder I am seeing everyone spending their time online when they`re out with their friends. Why restrain yourself to an audience of 2 or 4 people, when you could be “out” there for your entire network of 5,000 “friends”? 2. Multitasking Shortcomings – it might seem that those working with social media or constantly switching between more websites in the same time might have the ability to multitask, but studies have found that when comparing heavy new media users with others they perform much worse during task switching tests. It`s not about being fast, it`s about paying attention. 3. Silly Syndromes – You`ve probably never heard of the Phantom Vibration Syndrome, but you can imagine what it`s all about. Basically, you`re brain messes with you giving the sensation that the phone vibrated when it actually didn`t. Played by your own device. Not too bad, smartphones! 4. More Egocentric than ever – social media triggers dopamine release, which is a happiness hormone. When people are active online talking about themselves gives a sudden burst in the reward centers from their brains. What ever happened to listening to others? 5. Using External memory rather than our own – we would rather use forms of transactive memory, storing information outside ourselves, than use our own brains for storing it. We remember less because we are not required to do so – it`s enough that we know where information can be found. So, let`s hope our external hardware doesn`t crash when we`re in a meeting, right? Workplace innovation has been recently defined as social innovation in organizations, as “the implementation of new and combined interventions in the fields of work organization, human resource management and supportive technologies” (Pot, 2011, p. 404). Other authors use relatively synonymous terms, such as organizational innovation (Armbruster et al., 2008; Lam, 2011; Mako, 2013; OECD, 2005) or high performance work practices (HPWPs) (Cox et al., 2012). Workplace innovation includes aspects regarding work organization (job autonomy, self-managed teams, flexible working, integration of technology etc. ), organizational structure and systems (transfer of decision-making to employees, fairness and equality, supporting employee initiative etc. ), learning and development (high involvement innovation, staff learning and development, shared knowledge and experience etc. ), workplace partnership (social dialogue, representative participation, involvement in change, openness and communication, integrating tacit and strategic knowledge etc.). Unfortunately, workplace innovation is an underused resource for European private or public enterprises: the data showed that only 47% of European workers are involved in improving work organization or work processes in their department or enterprise, only 47% are consulted before targets for their work are set and of all workers, only 40% can influence the decisions that are important for their work. More, there are great differences between countries in the control that employees can exercise over their work tasks and their participation in organizational decision-making: the Nordic countries (Denmark, Finland and Sweden) had the highest levels of involvement, while the Southern countries (Greece, Italy, Portugal and Spain) and the East-South countries (Bulgaria and Romania) had particularly low levels (Totterdill et al., 2014). Field researches conducted by Cox et al. (2012) in 13 European companies showed that employee motivation was improved by the workplace innovations which provided job enrichment, greater responsibilities and autonomy, skill variety and development, enhanced training, increased trust and organizational support, enhanced job security, opportunities for suggestions or challenge; but HPWPs that improved autonomy, task variety, flexibility and decision-making authority also increased job strain through increasing work pressure, workloads and work pace, despite efforts made by management to implement health and safety measures.